everyday services of the Lenten Hours from 9:30 am. 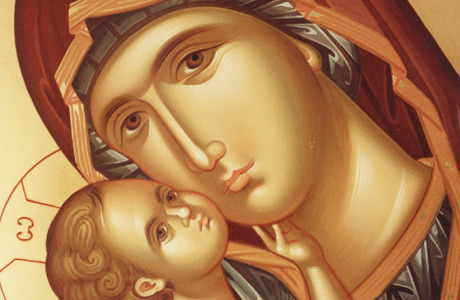 the Paraklisis with the Akathist service to the Theotokos, every Friday from 6 pm. For more detail information regrading the service during the Great Lent and beyond please see the Parish Calendar (that is always updated). Beloved brothers and sisters in Christ, we would like to inform you that we serve the Canon to the Theotokos from 6 pm, every Friday! We have continued regularly with the Church Slavonic/ Serbian language classes from 5:45 and the Catechism for adults from 6:45 pm, every Wednesday. Bible Studies (Orthodox Catechism) every Wednesday from 6:30 pm. Just as it is important to sanctify ourselves by partaking of the Holy Eucharist it is also important to sanctify the places we dwell by having our houses blessed at least once a year. Please call Father Borjan at 717-272-8132 to schedule your house blessing. Will you be having the traditional vespers and Badnjak service on January 6? We’ve been coming for years. Thank you!